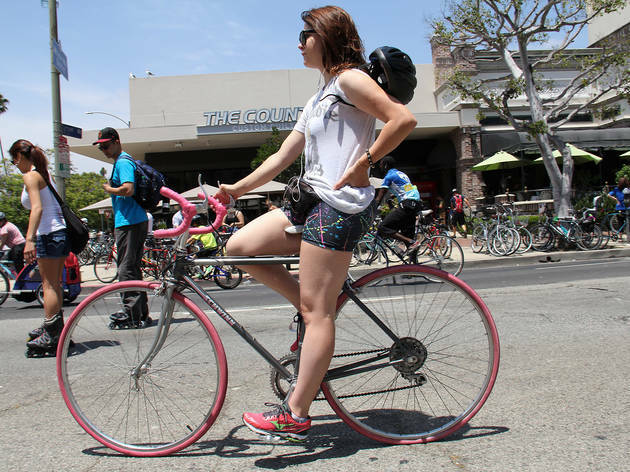 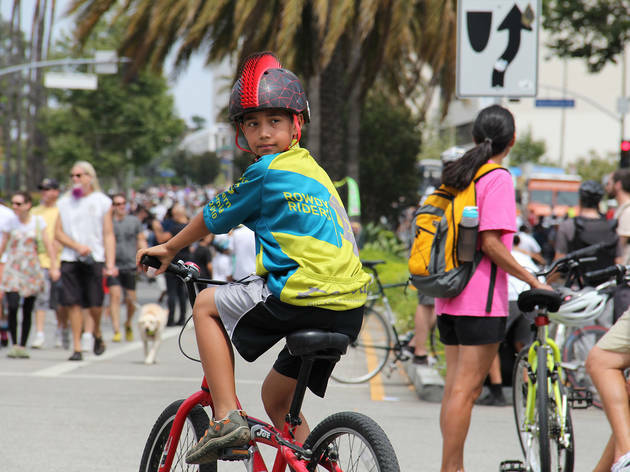 Wilshire Boulevard went care-free and car-free Sunday as thousands of skaters, bikers, walkers and runners descended on the 6-mile historic stretch. 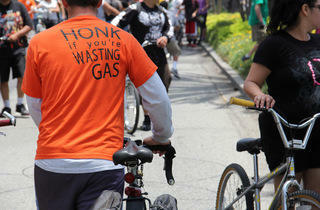 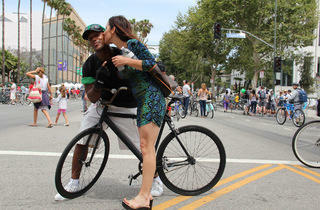 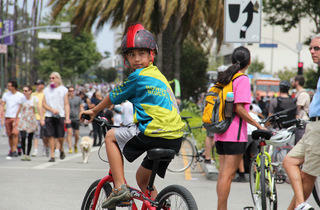 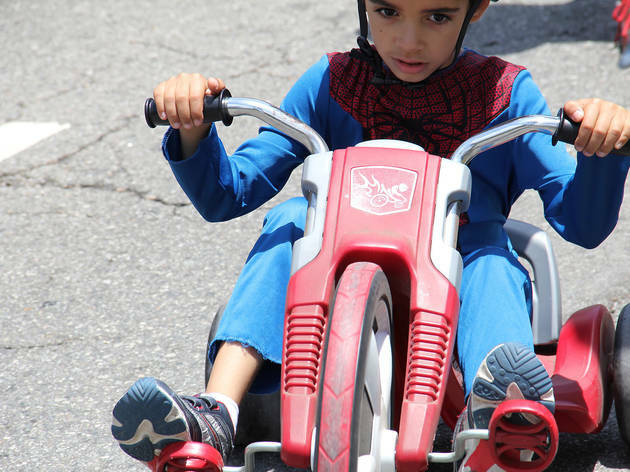 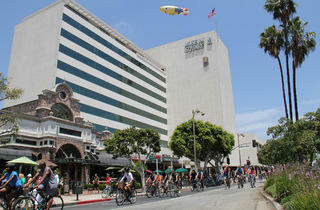 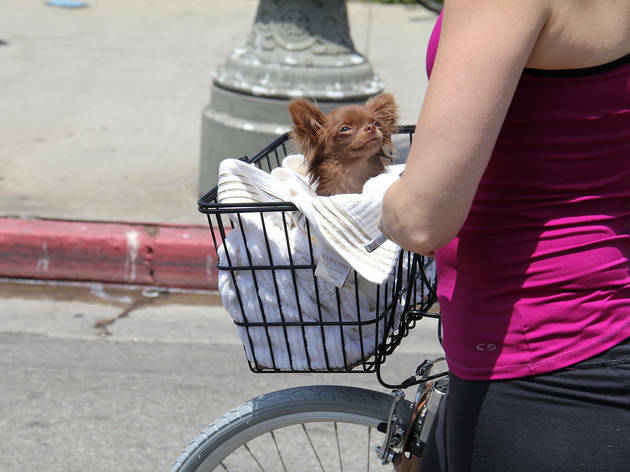 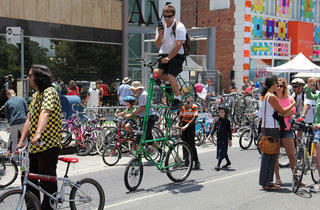 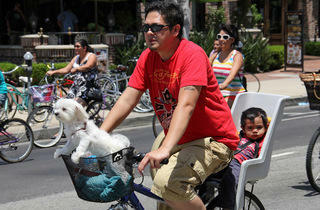 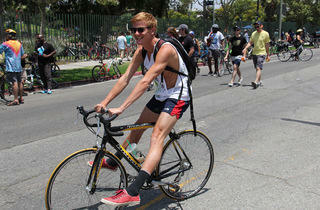 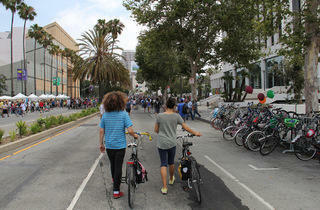 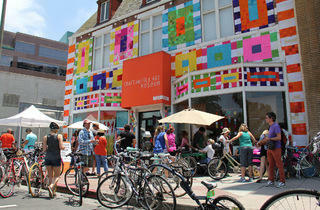 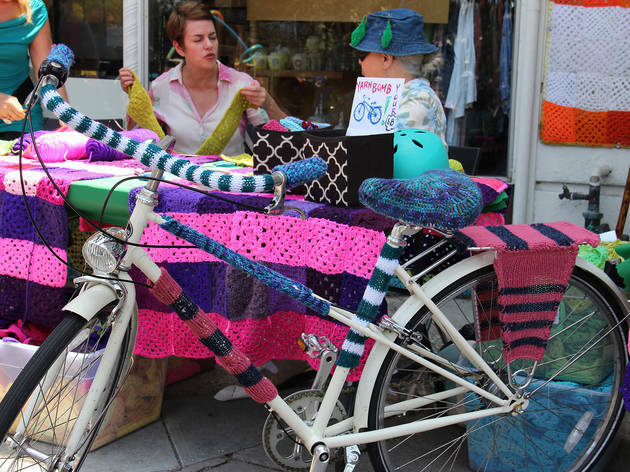 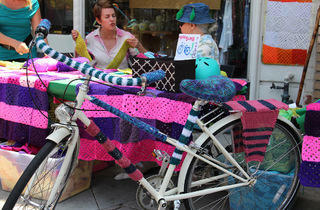 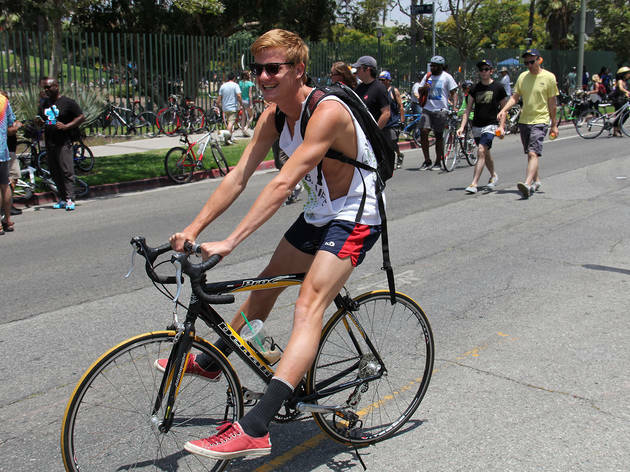 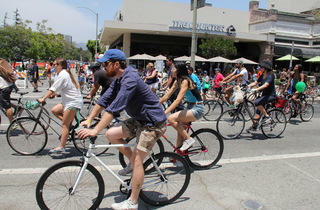 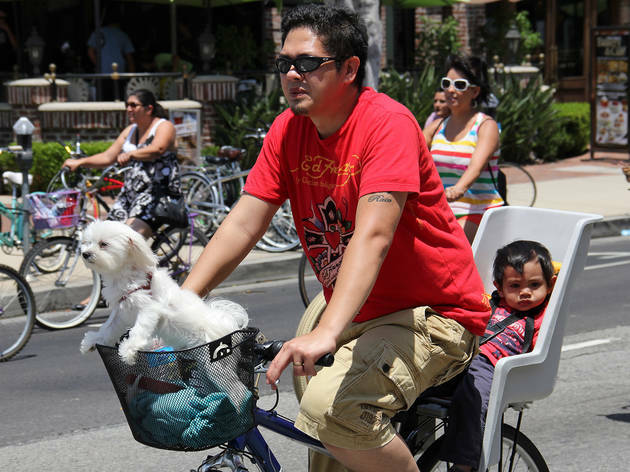 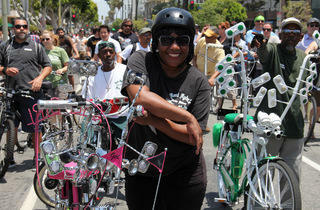 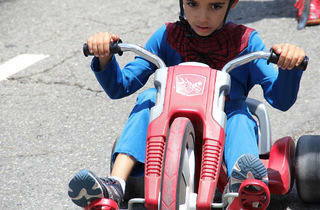 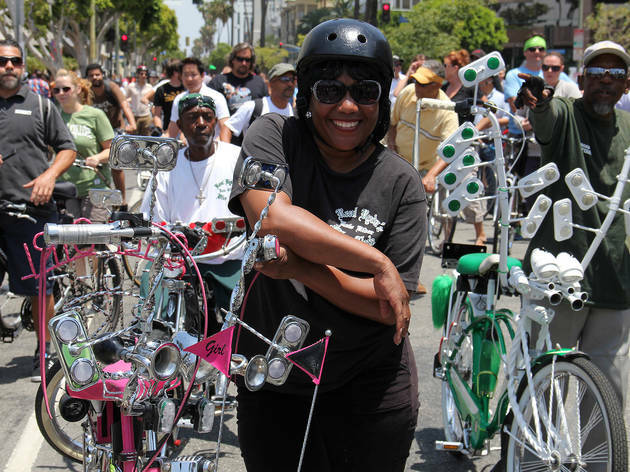 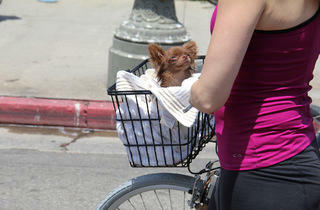 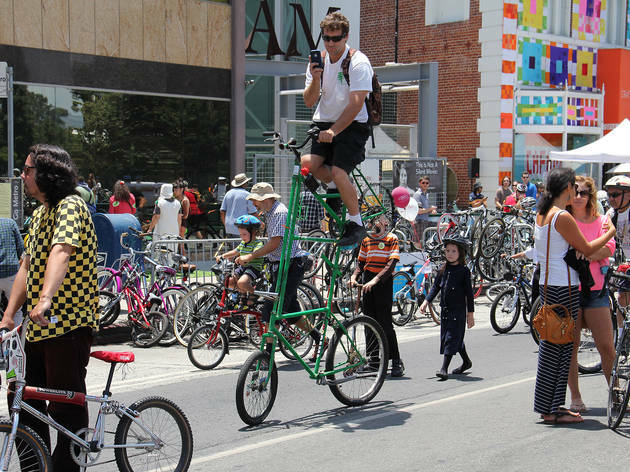 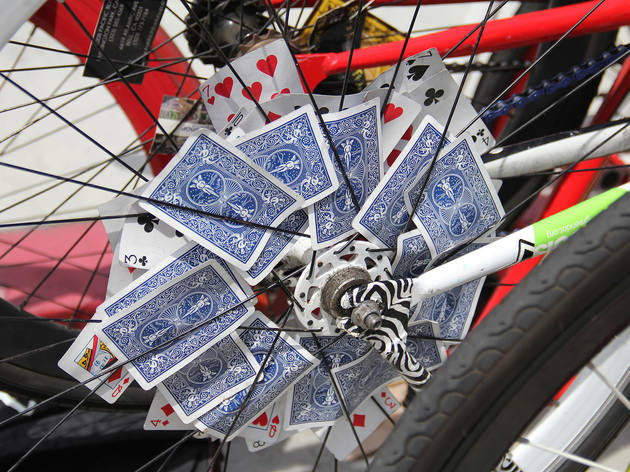 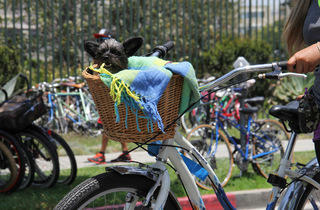 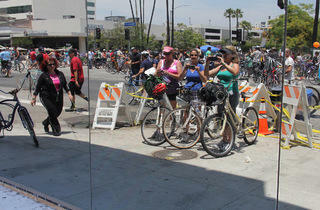 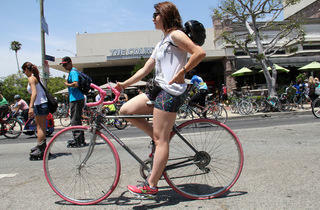 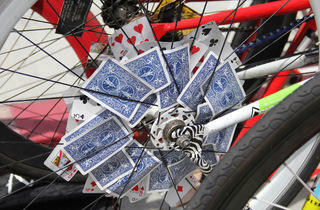 Check out some of the sights from CicLAvia 2013.
Who says LA doesn’t have a sense of community? 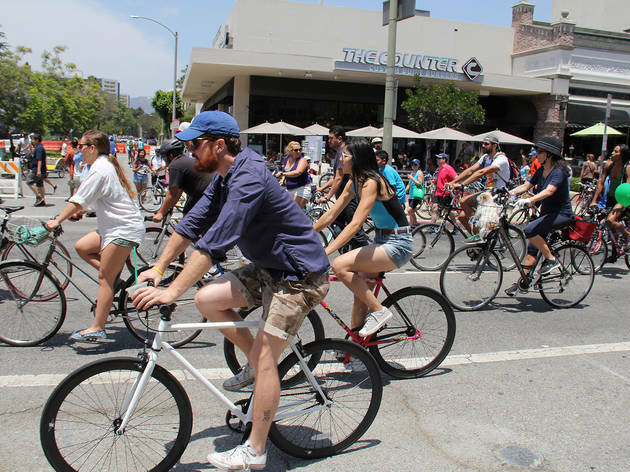 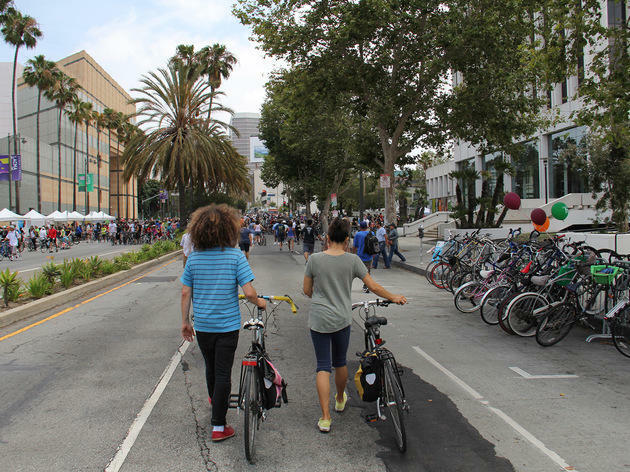 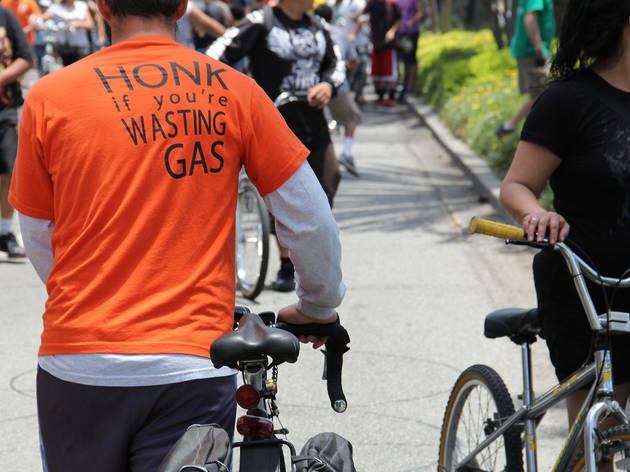 On Sunday from 10am to 4pm, thousands of Angelenos biked, walked and skated to CicLAvia, an event that temporarily bans cars from miles of interconnected city streets. 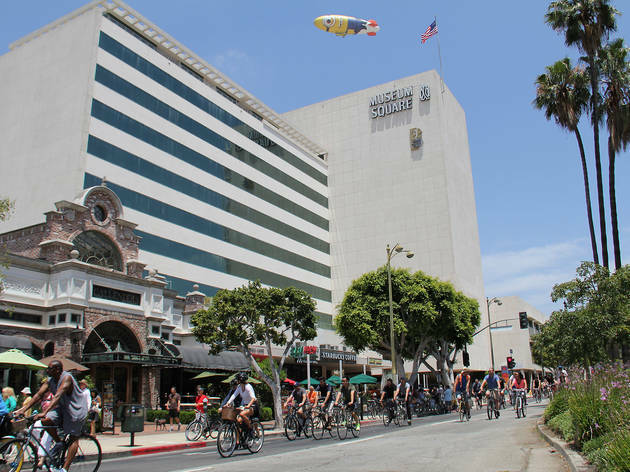 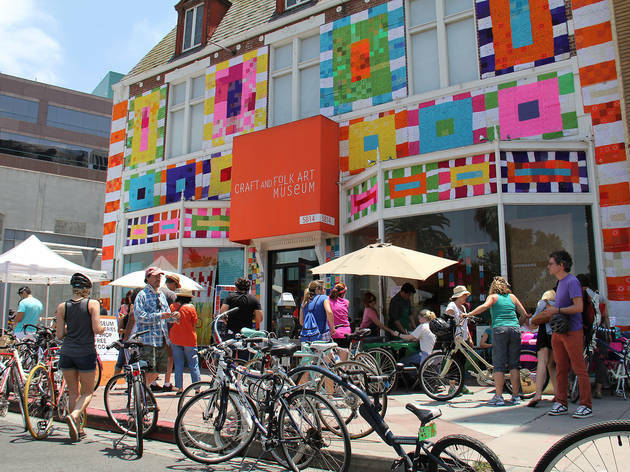 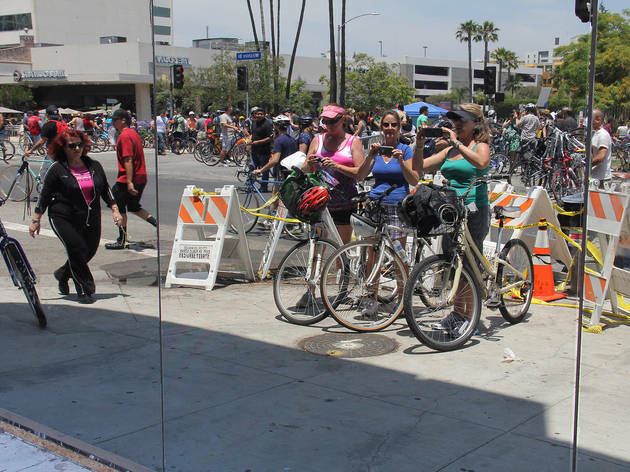 This CicLAvia is a partnership with the Getty's Pacific Standard Time Presents: Modern Architecture in LA, celebrating Wilshire Boulevard's history and sights from One Wilshire downtown to Fairfax in Miracle Mile. 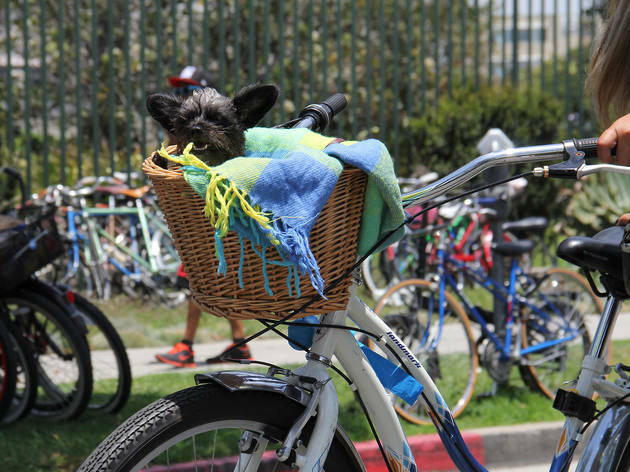 Roll on!